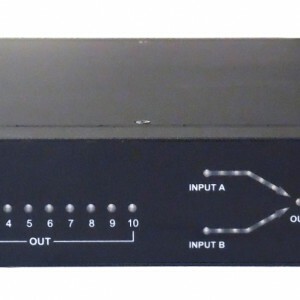 KWX-ATS16A8x2-H4C20 – 10 port (8 x C13 lockable IEC-C13 & 2 x C19) 19″ Per Outlet Switching & Monitoring, rack mountable intelligent automatic transfer switch. Category: ATS4-Total Power Monitoring, Outlet Level Switching & Monitoring Tag: KWX-ATS16A8x2-H4C20 - 10 port (8 x C13 lockable & 2x C19) 19" rack mountable intelligent automatic transfer switch. 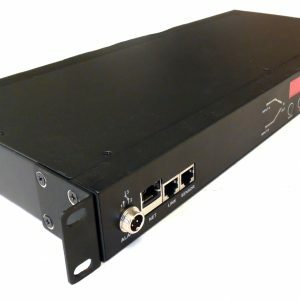 KWX Rack mount Automatic Transfer Switch (KWX ATS)- Unit Metered, Per outlet switching & Monitoring. 2 x C20 Inputs. 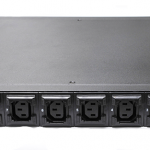 10 port 8 x lockable IEC-C13 and 2 x C19, Provides Total Power Usage,Per Outlet Switching & Monitoring. Dlivers consistent power, to single-corded equipment. The KWX ATS has dual input power cords supplying power to the connected load. In the event where the primary power source becomes unavailable, the KWX ATS will flawlessly source power from the secondary source without interrupting critical loads. 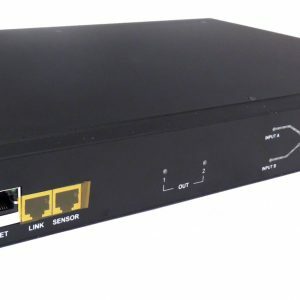 The KWX ATS has built-in network connectivity, which allows for remote management via Web, SNMP or Telnet/SSH interfaces, and provides sensors recognition, ability to cascade up to 2 units, power factor recognition, 8 x lockable IEC-C13, 2 x C20 input. Dry connection Optional: temperature and humidity, smoke alarm, water logging alarm, infrared alarm, and door open alarm. Monitor: monitor the total current, monitor the total kWh, and monitor the input voltage, monitor environment temperature, monitor environment humidity, monitor environment smoke, monitor water logging, infrared monitoring, and door open monitoring. Alarm settings: total current over the limit, on the temperature limit, on the humidity limit, smoke alarm, and water logging alarm, infrared enters alarm, door open alarm. Key Features: Adjustable sequential powering (on/off), Total current monitoring, Individual Outlets Level Metering, Adjustable sequential powering (on), 8 millisecond Switch over, Total current monitoring, Total voltage input & output monitoring, Total kWh used, Power factor recognition, Up to 55°C Hot aisle operating capacity, SMS, SNMP & Email, Effortless user friendly PDU management interface, Control up to 3 KWX, slaves from a master KWX PDU, 2 x IEC C20 Inputs, 8 x IEC C13 lockable IEC-C13 Outlets.